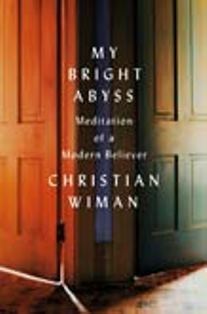 I have just finished reading Christian Wiman’s autobiographical quest and was shaken by it to say the least. It was difficult to read for several reasons. The author—an intellectual, poet, and Christian existentialist—although I am not sure of this since Christian existentialists are so hard to pin down—is dying of terminal cancer. He is young and at the very top of his literary powers as editor of Poetry magazine, and he has just fallen in love, married and had twin daughters while he undergoes the crisis of his life. Readers are introduced to the deaths he has known in the past, and now his struggles in confronting his own. That is the gist of the book, his confrontation with belief in God and mortality. Readers are taken minutely into the writer’s every thought about the afterlife—the possibilities and also his angst or struggles with the nature and existence of God and God in Christ. This is not light reading. Wiman concludes that God exists, but He seems absent. He is a void, a black hole, and Christ can only be understood on the cross as he cries out, “My God, My God, why have you forsaken me.” This is the Christ with whom the author identifies since he himself is suffering with the absence of God’s presence as well as acute physical suffering. Besides his thoughts readers are gifted with his poetry, musings, and the poetry of others. This book is not for the faint of heart, but it is a book that any thinker should read. Readers can identify with all of his questions, his qualifications. 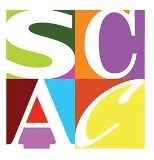 Sue Scalf is a retired teacher at Troy State University, Montgomery, and Montgomery Academy.